Kindly advise this girl who sent this to our inbox, she really needs your advise cause she is in a state of tension. I will never forget that Friday. It was my birthday and my mother came happily to my room to give me a morning kiss. My dad too and my 2 sisters. Then she promised to get me new skirt and shoes for church. I was pleased cause the other ones i had were old. 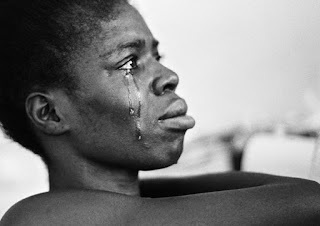 After cooking rice and chicken, she dashed out to the market and came back hours later with what she promised. I didn’t like the color of the skirt and i complained bitterly. Mum told me to manage it that she will buy another one next week. My dad too and my sisters. HOW I WISHED I LISTEN TO THEM. My mum didn’t like i was not happy of all days my birthday, and also refused to eat so she went back to the market against my Dad’s wish to return the skirt for a different color. On her way back, she had a fatal road accident and died on the spot. We got a distress call that evening and rushed to the hospital where she was pronounced dead. My dad just looked me in the eyes and left. My sisters were there crying. The hospital refused me to even see my mum. I wanted the ground to swallow me. I haven’t seen my dad for 3 months. He wasn’t present at my late mum’s burial. Drop your matured advise for her. May God bless you all as you do.